Erica Bunker | DIY Style! The Art of Cultivating a Stylish Wardrobe: 5 Key Wardrobe Pieces for the Summer! 5 Key Wardrobe Pieces for the Summer! 1. Utilitarian jumpsuit – As you probably already know, the seventies are making a comeback. 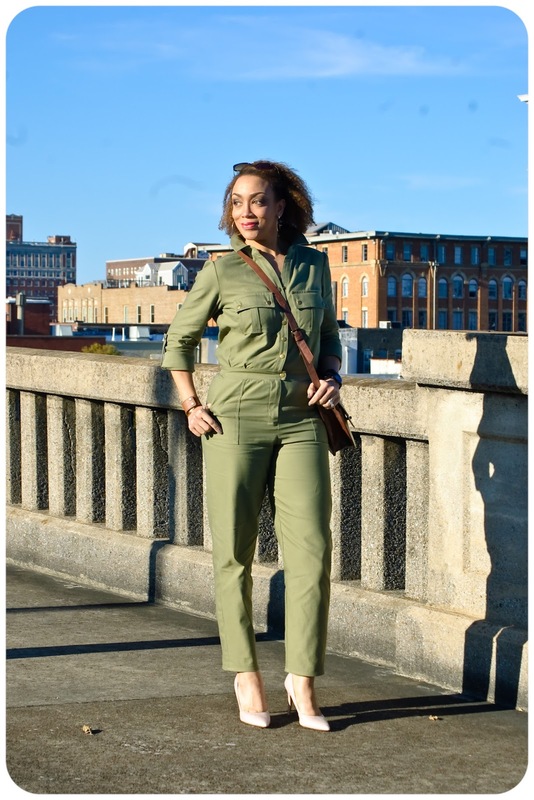 One of the trends you should definitely invest in is a well-fitted utilitarian jumpsuit. It’s not just a trend you can wear for spring and summer but you can also carry it forward for fall and winter by adding layers. Style the utilitarian jumpsuit however you wish, just as long as you feel comfortable in the outfit. For a casual daytime outfit, you can wear it with pointy-toe pumps, pointy-toe flats or sandals and a classic handbag. Even a cross-body bag will work perfectly for this outfit. If your sense of style leans more towards edginess, you can style the jumpsuit with classic white kicks. For a more formal event, wear it with high heels – both strappy stilettos and classy pumps will look great. Add the right accessories and you’re good to go. 2. Cropped flares – Instead of regular flared denims, take it up a notch with cropped flares. Choose a well-fitted pair that isn’t too tight so you can comfortably sport this trend for the summer. Cropped flares work perfectly in creating a chic look if you wear them with a classic button-down and a pair of pointy-toe skimmers. Complete the outfit with oversized sunglasses and a classy handbag. This trend also looks great with high heels like pumps and stilettos. You can wear it for a night out with friends by pairing the outfit with a sequined top. Otherwise, you could also wear a sheer blouse that perfectly balances style with comfort for the warm summer nights. Sewing tip: To create this look, you can hack one of the currently popular flared jeans patterns by shortening in below the knee and the top of where the flare begins. 3. Victorian blouse – A well-fitting Victorian blouse is a wardrobe staple for every season. Opt for a white vintage piece that will work with anything. You can wear it with miniskirts, midi skirts, denims, and trousers. To wear a Victorian blouse to work, pair it with a formal midi skirt and a pair of pumps. You can also wear it with fitted formal trousers or flared trousers to create a stylish and professional look. For daywear, pair your blouse with cropped flares or a cute miniskirt depending on your mood. The outfit will work with any kind of footwear – from sandals and flats to sneakers and booties. Just go with what you feel comfortable in and you can’t go wrong. The best part about this piece is that you can carry it forward to create the perfect Victorian Halloween costume. Sewing tip: I plan to use OOP McCall's 5181, view D! 4. Slip dress – Another fashion comeback, the slip dress was a huge trend during the nineties. It’s a wardrobe staple today because there are endless possibilities to style it. Pieces in solid colors are even better than floral or patterned ones. Just throw on a blazer over your slip dress to wear it to work. For casual daywear, sandals and sneakers could both work with the right accessories. You can add layers like lightweight denim or flannel shirts if you’re into edgy style. Strappy stilettos work perfectly to create a classy evening look. You can wear a sequined jacket or a leather jacket over the dress to add some flair. 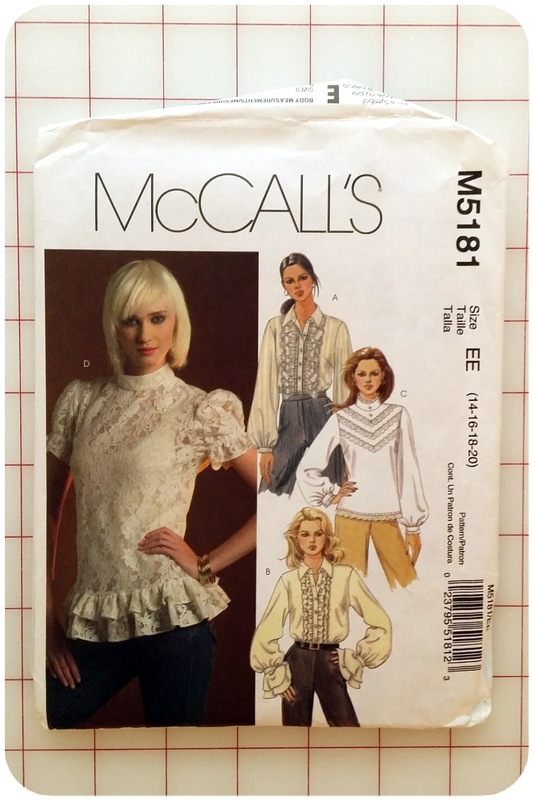 Sewing tip: I plan to make one from McCall's 7158! 5. Suede skirt – Suede is a huge spring trend with every fashion blogger and stylish celebrity sporting the trend. You can carry it forward to the summer months as well. Pick a piece that flatters your silhouette and style it with lightweight summery tops. Like the other staples mentioned above, the suede skirt also works with many different looks. I plan to work my Simplicity 8019 into the spring and summer season! Maybe you could wear it with an off-the-shoulder top and mule shoes for a chic daytime outfit. Otherwise you could also style it with sneakers, booties, stilettos, and sandals. A classic white button-down is one of the best wardrobe pieces you can wear with a suede skirt. Sewing tip: Also McCall's 7392 is a great one. These top five trends are the key pieces you can invest in for the summer. You can style them with the clothes and accessories you already have in your wardrobe. So that means you’ll be keeping your spending minimal while looking incredibly stylish as always. Some very good points! I already have the flair crops, love those. I agree that the slip dress is very practical, I had one in the '90's made of black satin polyester that I wore to everything including to bed as a nightgown! I love the idea of the Victorian shirt and I just remembered Burdastyle magazine had a version a couple years back, I buy it monthly ) I need to look it up, can't wait till I see yours. Great ideas, thanks! Back in the 70's, my mother had a khaki Burberry-ish jumpsuit pretty much exactly like yours. She loved that garment and pretty much wore it to death, it was so versatile, and perfect for business trips. She looked great, put together and classic in it. Your jumpsuit is great! Review: Vogue 1496 | The V-Neck Cocoon Dress!